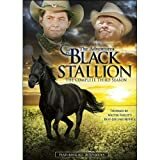 See all DVDs Story of the adventures and friendship between Alec Ramsay and The Black, a wild stallion and fastest racehorse in the world, who will only allow Alec to ride him. Based on the books by Walter Farley. 53 3x01 Out of Mind, Out of Sight 301 |edit (unknown) Discuss episode! 54 3x02 The Race of Time 302 |edit (unknown) Discuss episode! 55 3x03 The Knight's Contract 303 |edit (unknown) Discuss episode! 56 3x04 Bedside Manner 304 |edit (unknown) Discuss episode! 57 3x05 Breakin' Loose 305 |edit (unknown) Discuss episode! 58 3x06 Seeing Double 306 |edit (unknown) Discuss episode! 59 3x07 Back on Track 307 |edit (unknown) Discuss episode! 60 3x08 Winning Spirit 308 |edit (unknown) Discuss episode! 61 3x09 Nightmare 309 |edit (unknown) Discuss episode! 62 3x10 Wild Oats 310 |edit (unknown) Discuss episode! 63 3x11 Local Hero 311 |edit (unknown) Discuss episode! 64 3x12 Driving Mr. Daley 312 |edit (unknown) Discuss episode! 65 3x13 Measure of A Man 313 |edit (unknown) Discuss episode! 66 3x14 At The Gate 314 |edit (unknown) Discuss episode! 67 3x15 Criss Cross 315 |edit (unknown) Discuss episode! 68 3x16 Riding The Volcano 316 |edit (unknown) Discuss episode! 69 3x17 A Gift Horse 317 |edit (unknown) Discuss episode! 70 3x18 Racing In The Streets 318 |edit (unknown) Discuss episode! 71 3x19 Back in America 319 |edit (unknown) Discuss episode! 72 3x20 Pledging Allegiances 320 |edit (unknown) Discuss episode! 73 3x21 Tapu 321 |edit (unknown) Discuss episode! 74 3x22 A House Divided 322 |edit (unknown) Discuss episode! 75 3x23 A Day At The Beach 323 |edit (unknown) Discuss episode! 76 3x24 Legends Never Die 324 |edit (unknown) Discuss episode! 77 3x25 Glory Days 325 |edit (unknown) Discuss episode! 78 3x26 Under October Skies 326 |edit (unknown) Discuss episode!